for lack of funding. Politicians at all levels offered their responses. Josephine County, a mountainous and wildly beautiful swathe of land located in Southwestern Oregon is seventy (70) percent owned by the federal government as Oregon and California Revested Grantlands (O&C Lands). 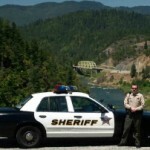 Cuts in federal subsidies (such as those provided under the Secure Rural Schools Act) resulting from the sequester is one reason for the County’s under-resourced Sheriff’s Department. United States Senator Jeff Merkley (D-Ore.) has proposed that sequestered funds be payed immediately through an amendment to the Farm Bill. At the state level, Governor John Kitzhaber is considering legislation to declare a public safety emergency in counties similarly affected by these federal cuts. Should issues such as public safety be left to the local population when their self-determination results in choosing not to fund such services? On a different but connected issue, should the federal government be managing the lands of the county at all or, for that matter, providing subsidies to the local population to support the local bureaucracy? While these questions are difficult to answer, an even tougher issue for those such as Commissioner Simon Hare who advocate solely for local control is voter turnout in the county. Only fifty (50) percent of registered voters took action in the special election on May 21st that included the proposed levy – hardly a showing of democratic support against the tax. The levy itself lost by less than 600 votes. 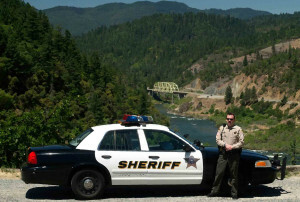 Oregon residents should not be left to fund Josephine County’s policing practices. Josephine citizens’ voice, however unrepresentative, must be recognized and local politicians like Simon Hare should practice their preaching by rejecting such federal and state funding (something easier said than done but within their prerogative) and, rather, focusing on increasing voter awareness and turnout. Dependence on subsidies and emergency measures hurts everyone. As for the federal government exercising control over much of the county, Reps. Peter DeFazio (D-Ore.), Kurt Schrader (D-Ore.) and Greg Walden (R-Ore.) are gathering support for a bill that would alleviate some of the gridlock on logging in the area by putting certain previously logged areas in trust to the state for harvesting. The federal government, however, is uniquely situated to help mediate the use and protection of environmental resources given the cross-border effects of logging runoff, erosion, air quality and habitat destruction. We have witnessed how local practices of an industry (i.e. logging) can operate at the expense of other industries (i.e. salmon) where eco-systems are more organically inter-connected than the bright-line boundaries of local, state and federal territories. Managing the resources, businesses, and environmental organizations requires a neutral practitioner. So, while DeFazio, Schrader, and Walden are well-intentioned in their efforts to confer control over land-management to state authorities, they should not relinquish their position of being able to provide appropriate protections for more vulnerable parties.